welcome to those who may be considering joining. 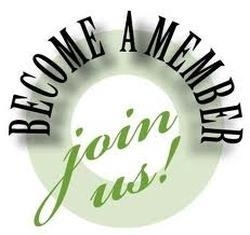 So, what does membership mean? One becomes a member of the church (Emmanuel) through baptism. From infancy through adulthood, all persons who are baptized at Emmanuel or whose names are enrolled in our parish register through a personal request or letter of transfer are members. If you are seeking baptism for yourself or your child(ren) please fill out the baptism application and call the church office to discuss dates and times. One also becomes a member through Confirmation or Reception into the church through the laying on of hands by the Bishop. These person have already been baptized in another Episcopal or Christian church, and now wish to be affiliated with us. Please contact Fr. Robert to find out about the beginning of our next adult Inquirer's class. Membership in the church does mean presence. In the Episcopal church it is important to be faithful as one can be to our corporate worship as well as to the financial support of the parish. Through the sharing of our gifts-of time, talent and treasure we fully become the community of faith God calls us to be. To begin the process please fill out the electronic form - New Member Data form or you may print the PDF form and return to the church office. If you have any other questions please call the office at 706-543-1294 ext. 201.